Pink lights glowed within the classical architecture of the Bloor Gladstone Library with a sign hung from the entry doors that read: “Closed for violation of National Prohibition Act. 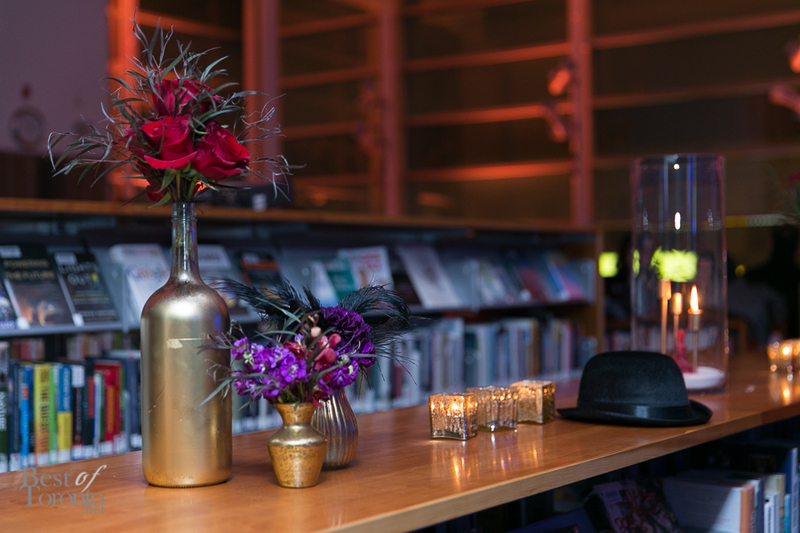 On October 25th, over 300 guests flooded into the library, which was transformed into a Speakeasy in support of the Toronto Public Library Foundation. Hosted by the New Collection, librarians were replaced by Al Capone lookalikes shifting suspiciously between book stacks and dancers dressed and moved as if they waltzed out of the Roaring 20s. Hush Hush was a well-executed prohibition-themed soiree featuring delectable bites from Rock Lobster, live Jazz and DJ, a secret bar with a special cocktail available by password, and instant-photo station set up in front of a comfortable couch from Barrymore. The Typist returned as well, a favourite from last year’s successful inaugural event, churning out instant poetry on a card typed on an old typewriter when given a random word. We laughed while sipping TAG Vodka and moonshine from Toronto Distillery Co while completely forgetting that we might have overdue books to return here the very next morning. New Collection and Hush-Hush proved once again that libraries, as a social space for education, can also be an amazing gathering space for fun. Kudos to the organizers for another terrific event that benefitted the world’s busiest library. 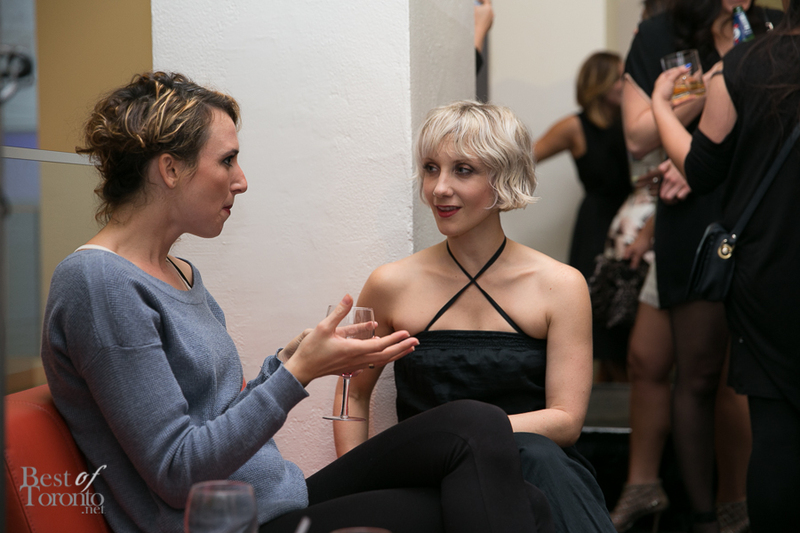 New Collection is the TPLF’s young patron group that provides members with exclusive access to events featuring prominent writers, artists and intellectuals such as Douglas Coupland, Kelly Oxford, Irvine Welsh, Jeanne Beker, and Justin Trudeau to name a few. As one of the world’s busiest urban public library systems, over 19 million people visit Toronto Public Library and borrow over 32 million items each year. The Foundation needs donors to help ensure that resources, program, and services offered by the library continues to serve over 72% of Torontonians who actively uses the library. 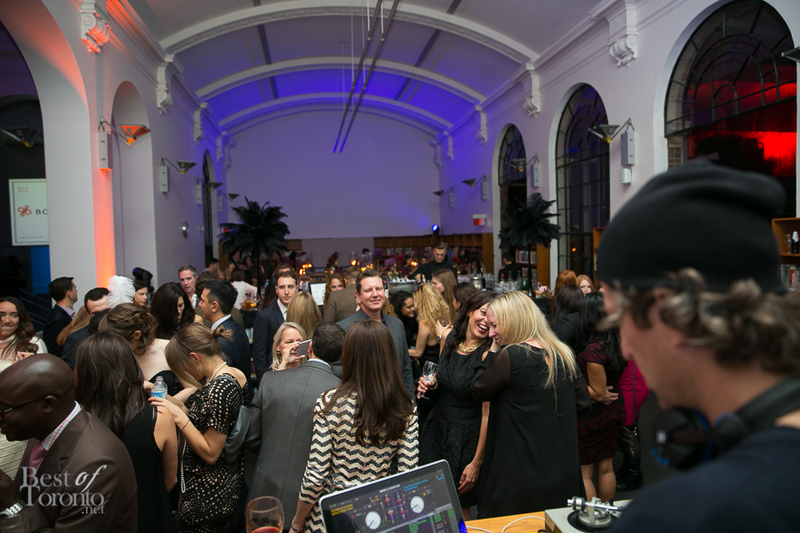 Congrats to New Collections for raising $80,000 for the Toronto Public Library Foundation. 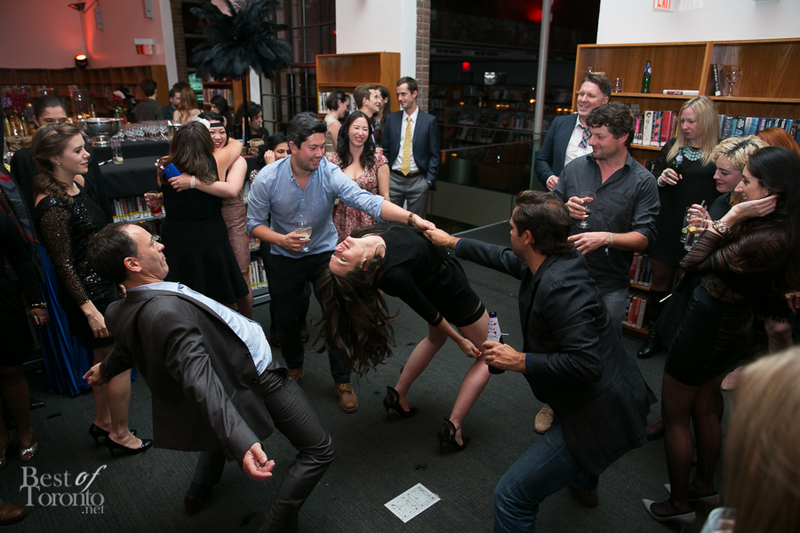 Also check out our photos from the Photos from the first ever “Hush Hush” party in a public library.